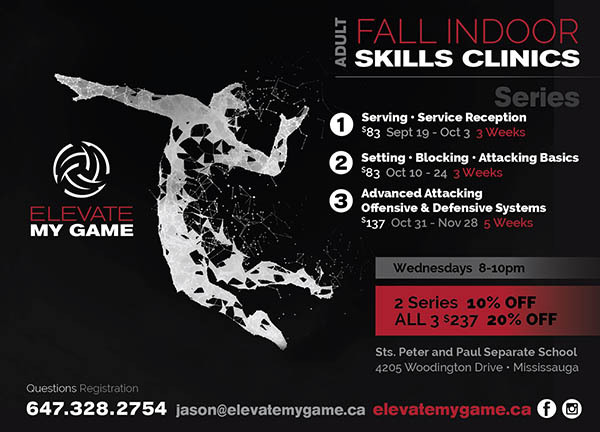 We are excited to support more youth in sports and help grow the world of volleyball. 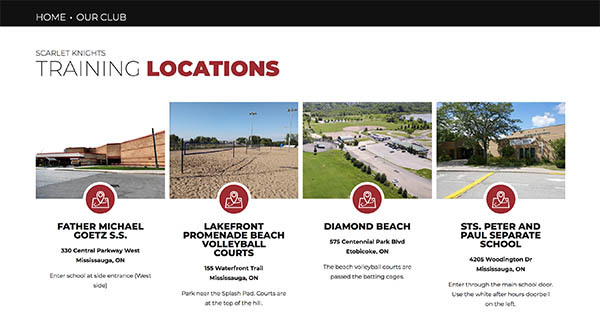 Announcing a NEW volleyball club in the GTA – Scarlet Knights Volleyball. 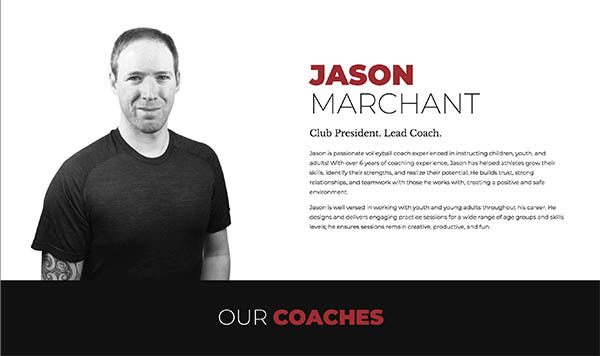 Jason Marchant, the Club President & Lead Coach, approached us last year to initially helped him develop graphics for his Elevate My Game volleyball training company, along with some social media marketing strategies. He then hired K Design again this year to design his dream club logo for Scarlet Knights, along with his club website. 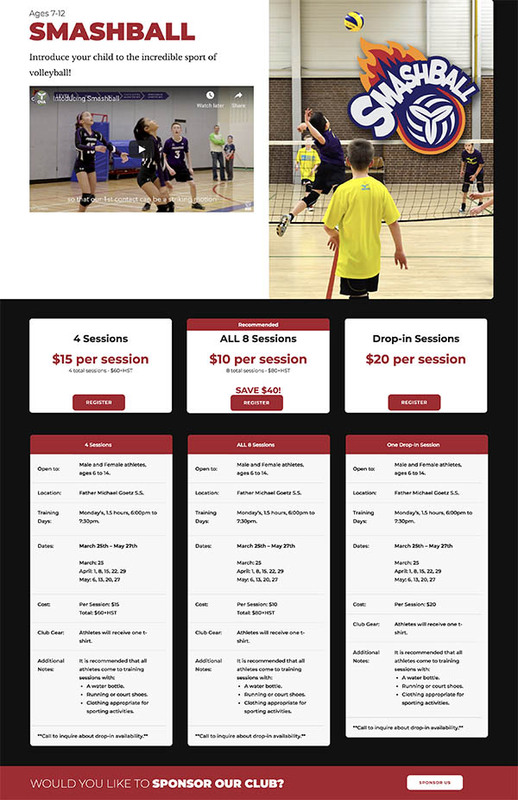 Check out his new branding and all his new upcoming Youth & Adult programs on his new site below. 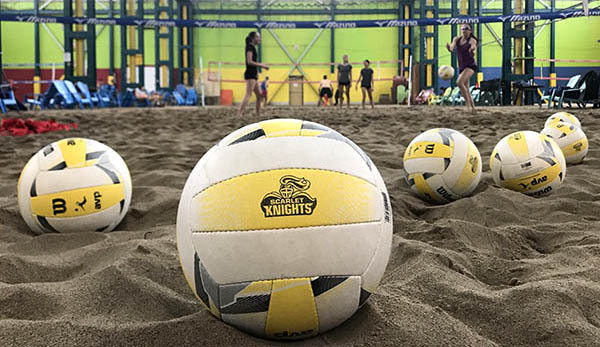 Programs include SmashBall, Spikes on the Beach, Youth High Performance Beach Training, Adult Training and new OVA Travel Club teams. Thank you Jason for these awesome projects. K Design wishes you the most amazing volleyball ride and can’t wait to see the players’ lives that you change. Complete new design, WordPress CMS powered website.